November 18, 2017. Posted in Blog. 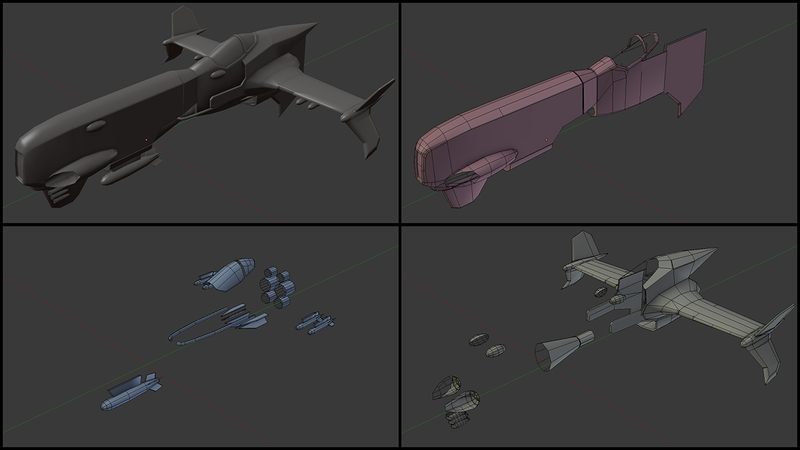 I’m working on a spaceship in Blender, which I plan to texture in Substance Painter. In order to get cleaner texture bakes, I chose to split up the mesh in different parts. This will mostly help out the normal map bake, when in tight spaces where projection errors otherwise might occur.